Trainer Nigel Twiston-Davies confirmed at Cheltenham on Saturday, that his star hurdler The New One had been retired. The 10-year-old, who won on exactly half of his 40 race course appearances, including six at Cheltenham - was pulled up by trainer's son Sam, as he went for a record fourth success in the International Hurdle at Prestbury Park. The New One won two Group One races - including what was known as the Neptune Investment Novices Hurdle at the Festival in 2013 and in total recorded over £1m in prize money for his connections. He was desperately unfortunate not to win the Champion Hurdle twelve months later when experiencing traffic problems, but put it right when adding another Grade One at Aintree a few weeks later. 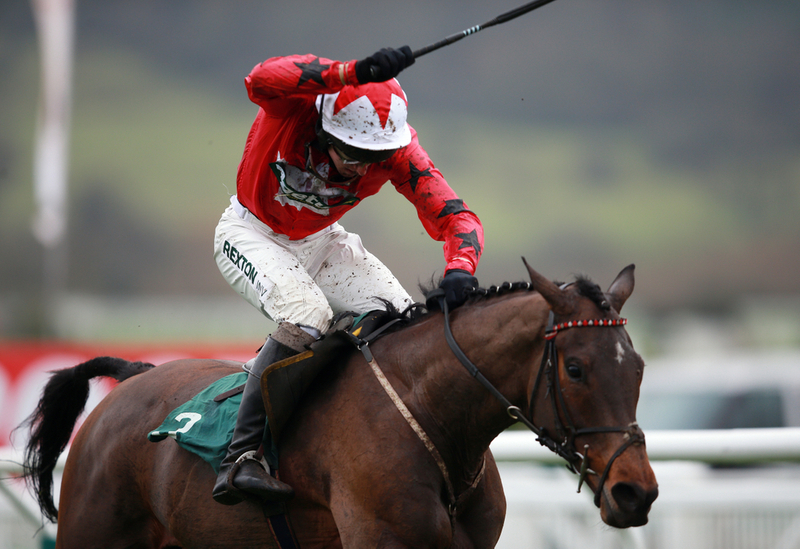 (Credit: Racing Post) Trainer Twiston-Davies said: "It's a very sad day. He just hasn't got the legs at the end anymore. "He was a great help in getting Sam going and has been the most wonderful horse. He's part of the family." The news came days after his old adversary My Tent Or Yours was retired by Nicky Henderson, where the two played a part in many duals in recent years.